Penn’s Beta chapter was established on March 3, 1881 and appeared in The Record of 1883, but not in subsequent years. It was re-organized in 1890 and re-appeared in the The Record of 1891. The national organization was founded in 1848 at Jefferson College in Canonsburg, Pennsylvania. 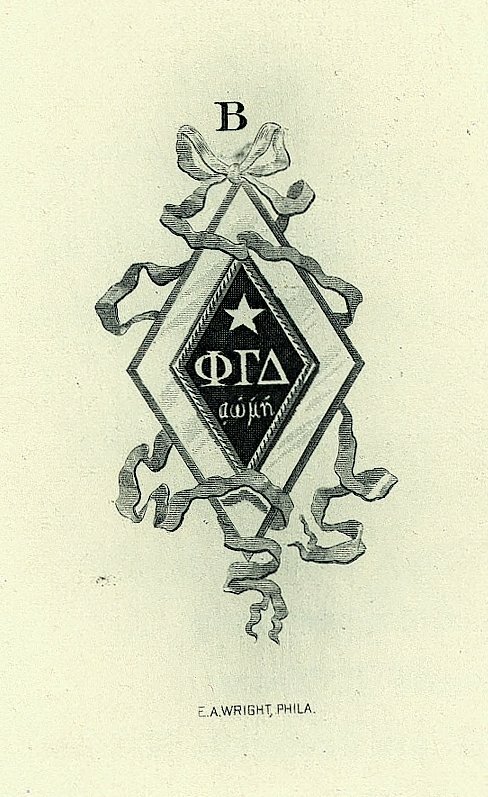 Phi Gamma Delta remained active at Penn throughout the 20th century, until it was suspended in 1999. The fraternity is currently expected to return to campus in 2004. Phi Gamma Delta got its start in western Pennsylvania, at Jefferson College, now part of Washington and Jefferson College in Washington, Pennsylvania. Rooted in a set of religious principles that emphasized “friendship, knowledge, service, morality, and excellence,” Phi Gamma Delta was evangelical in its work. It spread quickly to other colleges in the Midwest and South and also won acceptance in major universities on both the East and West coasts. Penn’s Beta chapter was the twenty-second to be established. Twenty-three students came together from four of Penn’s schools – College, Dental Medicine, Law, and Medicine – to re-establish the Beta chapter in 1890. It did not have a permanent home over the next twenty-five years, but is documented as renting a house at 3604 Walnut Street in 1904 and as occupying a house at 3600 Walnut Street in 1905 and 1907. 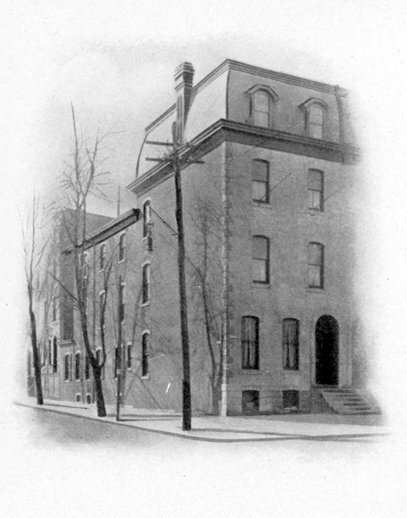 Nitzsche, in University of Pennsylvania, stated that Phi Gamma Delta built its house at 3619-21 Locust Walk in 1914. 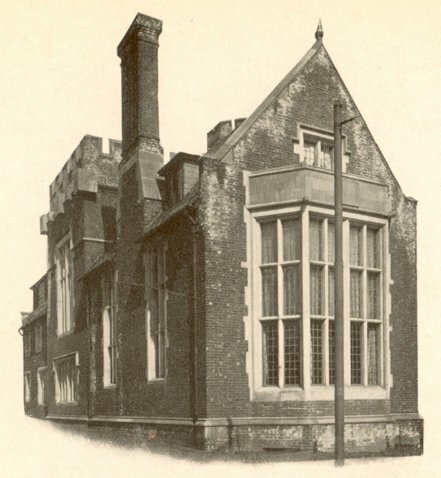 He identified the architect as Walter Mellor and the style as early English Tudor. The Beta chapter resided in this building from 1914 until 1999, when it lost its privileges at Penn due to an alcohol-related death.